The long-awaited biography of one of the great writers of the twentieth century - 'a wonderful blend of scholarly fact and juicy storytelling' (Mail on Sunday). 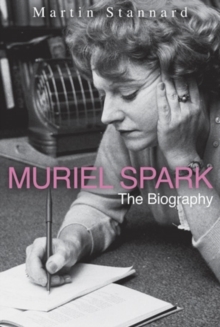 Muriel Spark ended was one of the great writers of the twentieth century. Hers is a Cinderella story, the first thirty-nine years of which she presented in her autobiography, Curriculum Vitae (1992), politely blurring the intensity of her darker moments: her relations with her brother, mother, son, husband; a terrifying period of hallucinations and subsequent depression; and the disastrously misplaced love she had felt for two men she had wanted to marry, Howard Sergeant and Derek Stanford. 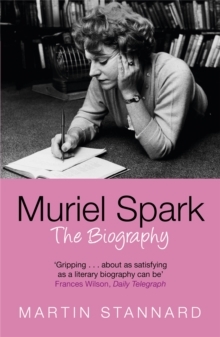 Aged nineteen, Spark left Scotland to marry in Southern Rhodesia, escaping back to Britain on a troopship in 1944 after her divorce. Her son returned in 1945 to be brought up by her parents in Edinburgh while she established herself as a poet and critic in London. After becoming a Roman Catholic in 1954, she began a novel, The Comforters, and with Memento Mori, The Ballad of Peckham Rye and The Bachelors rose rapidly into the literary stratosphere. The Prime of Miss Jean Brodie (1961), with its adaptation into a successful stage-play and film, marked her full translation into international celebrity and from that point she went to live first in New York, then Rome, and finally Tuscany where for over thirty years, until her death in 2006, she shared a house with her companion, the artist Penelope Jardine.